Lexmark 12A1970 (#70) Black Premium Quality Remanufactured Inkjet Cartridge designed to work in the 3200, ColorJet 3200/ 5000/ 5700/ 5770/ 7000/ 7200, Optra Color 40/ 45, X125/ X63/ X73/ X83 All-In-One, Xb4/ X85, Z11/ Z31/ Z42/ Z43/ Z45/ Z45se/ Z51/ Z52/ Z53. The use of compatible supplies does not void your printer warranty. Lexmark 12A1975 Premium Quality Remanufactured Black Inkjet Cartridge designed to work in the ColorJet 40/ 45/ 3200/ 5000/ 5700/ 5770/ 7000/ 7200, Z11/ Z22/ Z31/ Z32/ Z42/ Z43/ Z45/ Z45se/ Z51/ Z52/ Z53/ Z54/ Z54se/ Z82, Optra Color 40/ 45, X125/ X63/ X73/ X83 All-In-One, X4250/ X4270 copiers. Also fits some Compaq and Samsung printers. The use of Remanufactured supplies does not void your printer warranty. Lexmark 12A1985 Premium Quality Remanufactured Tri-Color Inkjet Cartridge designed to work in the ColorJet 3200/ 5000/ 5700/ 5770/ 7000/ 7200, Optra Color 40/ 45, Z11/ Z22/ Z31/ Z32/ Z42/ Z43/ Z45/ Z45se/ Z51/ Z52/ Z53/ Z54/ Z54se/ Z82 copiers. Also fits some Compaq and Samsung printers. The use of Remanufactured supplies does not void your printer warranty. 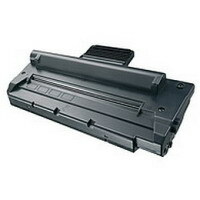 Genuine Samsung SCX-4100D3 Black Toner/Drum Cartridge for the Samsungl SCX-4100 printers. Genuine Samsung SCX-4216D3 Black Toner/Drum Cartridge for the Samsung SCX-4016/ 4116/ 4216F, SF-560/ 565P/ 755P printer and fax machines.